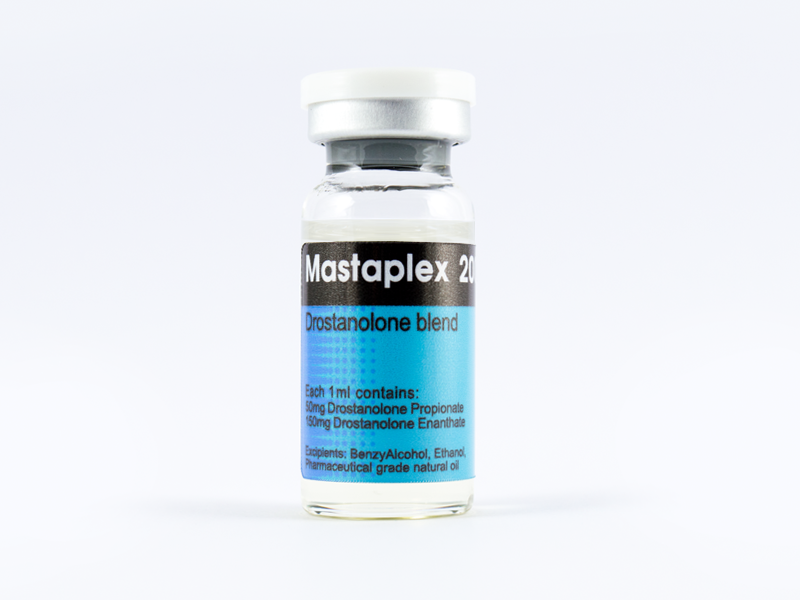 MASTAPLEX 200 contains a combination of fast and slow acting steroid dostanolone in 1:3 ratio. Drostanolone is a synthetic derivative of dihydrotestosterone, displaying a potent androgenic effect that is responsible for increases in muscle density and hardness and a moderate anabolic effect that creates a positive nitrogen balance in humans and promotes protein synthesis. Since it is a derivative of dihydrotestosterone, dromastolone does not aromatize in any dosage and thus it cannot be converted into estrogen. Therefore, estrogen-related water retention is eliminated.